Thereâ€™s a good reason why group projects are so popular in formal education: theyâ€™re much quicker to grade than individual projects working with others can be hugely motivational. Once you leave college, though, it can be difficult to find that kind of collaboration. When else do you get to develop new skills with others, purely for the sake of learning? Learning on your own schedule, and at your own pace, can get lonely sometimes. 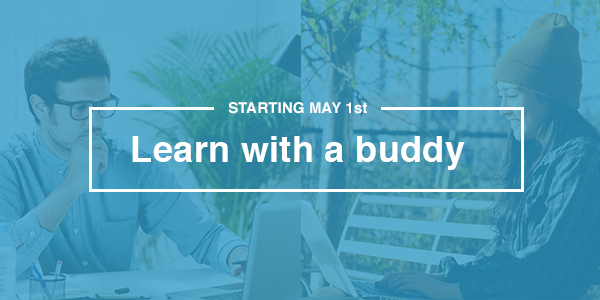 Thatâ€™s why weâ€™re launching Buddy Month on Learnable, SitePointâ€™s online learning platform. Weâ€™re dedicating the whole month of May to pair learning: working through one course, along with someone else. Checking in, working through problems together, and, corny as it sounds, celebrating the small victories along the way. Signing up for Buddy Month is easy: if youâ€™re already a Learnable member, just select your course here. Weâ€™ll match you with another student and introduce you on May 1st. The entire SitePoint team will be taking part, so you might be matched with one of us! Not a Learnable member yet? Nowâ€™s a great time to join: weâ€™re offering your first 30 days for just $1. 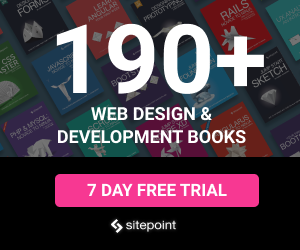 That gives you access to all web development courses and SitePoint books, with new content launching every week. What will you learn in May? Leave a comment below: weâ€™ll pick one reply at random and send its author a free SitePoint ebook of their choice! Hope you join us Chris! I've had a note to say I've been paired up; thank you for sorting that out @april_b. How about the rest of you?